Travellers heading for Holland now have a new flight option with the opening of a KLM service from Kent to Amsterdam. 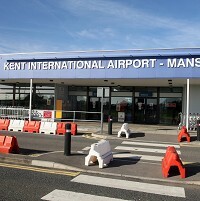 The Dutch airline has started operating two flights a day between Kent International Airport in Manston, Kent and Schiphol Airport. Flights of up to 80 passengers on Fokker 70 aircraft start from as low as £79 including taxes, a price designed to attract many business and tourist travellers across the North Sea. Despite the low costs and short flights, travellers would still be wise to make sure they are covered by travel insurance to provide financial protection should unexpected events occur while abroad such as illnesses, loss of property, or having to cut journeys short. The new service begins a whole new chapter in the history of Manston Airport, according to chief executive Charles Buchanan. He said the flights not only connect holiday-makers and business travellers in Kent and the south east of England with the beautiful and cosmopolitan city of Amsterdam, but also the rest of the world with further flights from Schiphol using the national airline KLM.